Smart-Fab is a disposable fabric substitute, which receives the characteristics of regular woven cloth during our unique non-woven fabric manufacturing process. 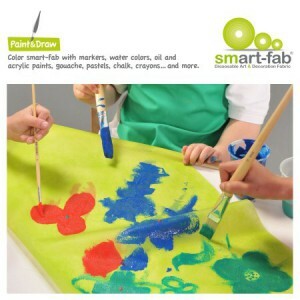 Smart-Fab is great for design, arts and crafts and decorating. 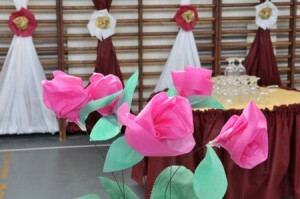 If you can do it with normal cloth, you can do it with Smart-Fab – wall coverings and decorations, bulletin board backgrounds, tablecloths, drapes, room decor, signs and banners, stage design, costumes and more. For lots of ideas and examples, see the “Uses & Projects”section of this web site. What colours and sizes does Smart-Fab come in? Smart-Fab rolls come in widths of 1.22 metres and are 12.2 Metres long. All Rolls are available in a range of 15 vibrant colours – white, yellow, cream, orange, red, brown, dark pink, dark purple, dark blue, blue, sky blue, apple green, grass green, cranberry and black. The Smart Fab Product is also available in flat sheets in 3 colour combinations –Black, White and Assorted Colour Packs (all having 45 sheets per pack) and are 30.5cm x 45.7cm in size. No! Smart-Fab colours never fade, retaining their original hues even in the harsh Australian Environmental conditions such as dampness or direct sunlight. Smart Fab Rolls are light and easily handled, weighing only 726 grams (less than a Kilo). It’s very water resistant! Smart-Fab repels and is not damaged by liquids, including water. You can use it outside and even wash it. Yes, you can. 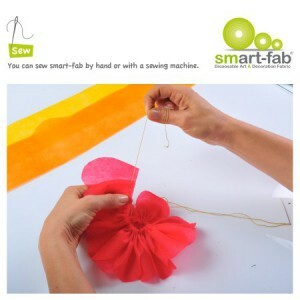 Like regular cloth, you can fold and crunch Smart-Fab to easily create waves, ripples and draping effects. And, it won’t rip if you stretch it using a reasonable amount of force. Absolutely. Smart-Fab is durable and long-lasting in almost all normal weather conditions. 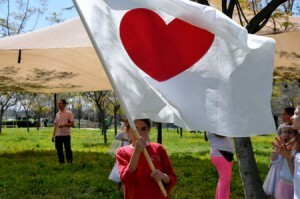 It’s resistant to humidity and moisture and reasonable exposure to direct sunlight. Smart-Fab is not fireproof and should be used carefully. However, Smart-Fab is not flammable, and was tested and approved to be compatible with the USA Fire Flammability Act Standard (16 CFR, part 1610) per the Consumer Product Safety Commission directive. In practical terms, it means that Smart-Fab is safe for usage in all the applications mentioned on our website, including in close proximity to children (e.g. in classrooms, for Halloween costumes, etc). Yes. It has been approved by the Food Microbiology laboratory of Milouda Biological Industries Services and tested for Overall Migration in conformity with EU Directives by the Packaging Laboratory of the Technion Institute of Technology Research and Development Foundation. 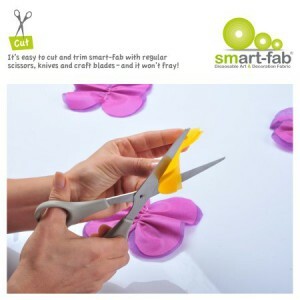 Smart-Fab can be cut with almost any regular cutting implement – scissors, edge scissors, handicraft knives, utility knives (box-cutters) and paper cutters/trimmers (guillotines) • When using paper punches, we recommend placing a sheet of construction paper beneath the Smart-Fab and punching in a single, swift motion • Depending on the quality of the cutting tool, you can cut 10-15 layers of Smart-Fab simultaneously. • While trimming, we recommend keeping the Smart-Fab taut. Yes. Like regular cloth, Smart-Fab can be sewn by hand or with a sewing machine. And, there’s one big plus: the edges won’t fray. Yes, Smart-Fab can be dyed. However, because it’s liquid repellent it requires an industrial on-line drying process. If this isn’t available to you, we suggest simply using other Smart-Fab colours or colour combinations. Of course. 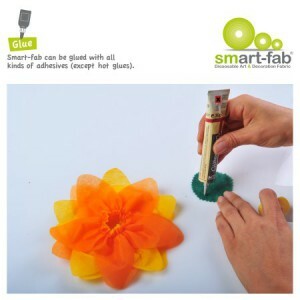 Smart-Fab can be glued to itself or to any other material, using all normal adhesives (except for hot glues). We especially recommend using fabric adhesives, which feature very quick drying times.